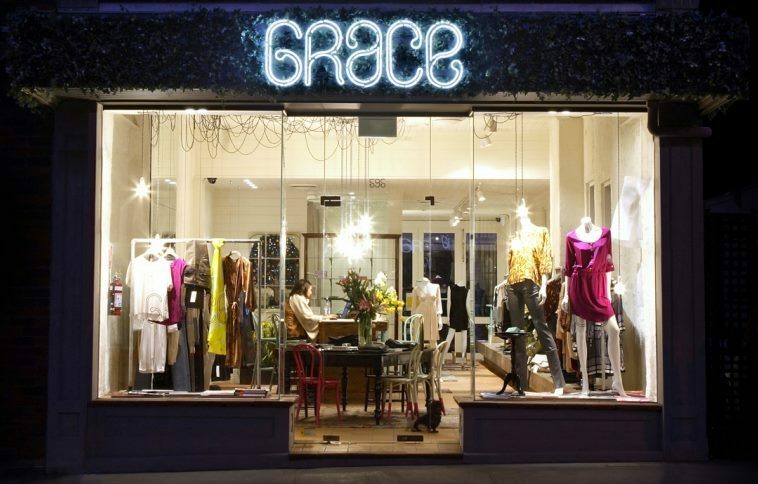 Grace boutique opened its doors to the hungry-eyed Melbournians in 2007, delivering high street fashion to the loyal stylish crowd. 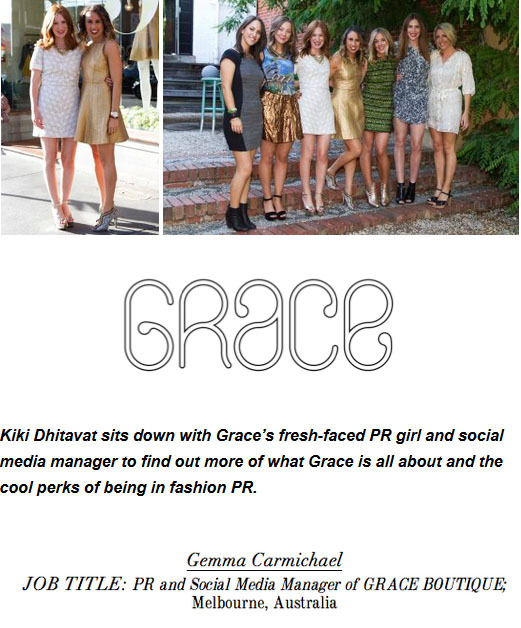 The founders of Grace boutique brought to the Aussie fashionistas a highly curated eclectic collection of pret-a-porter labels sourced from around the world. The girls choose to offer the best array of brands catering towards the Australian market. 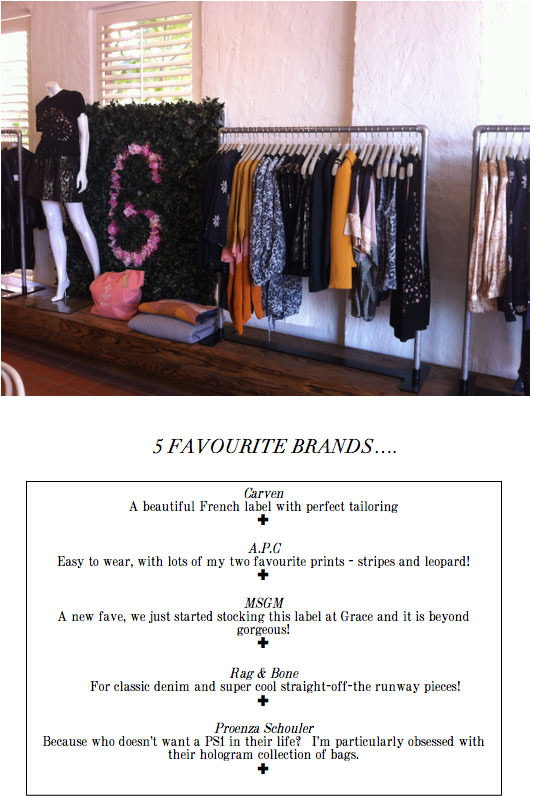 Grace currently stocks Carven, APC, Rag & Bone, Anna Sui, MSGM, Equipment, Steven Alan, Thierry Lasry, Dannijo, and many more. They do buying trips twice a year to New York and Paris. Eugh. Dream job! 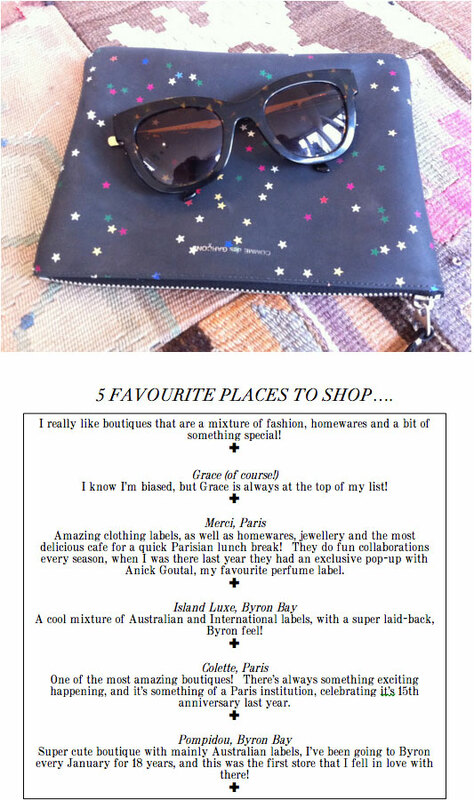 Who wouldn’t want to jetset around the world to fashion shows and buy amazing clothes. 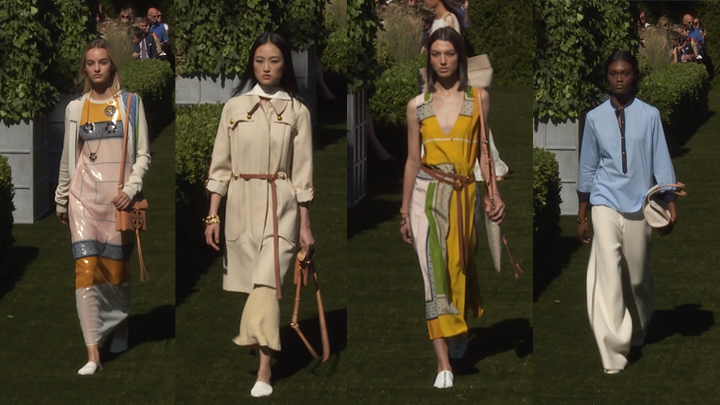 Georgia and Ilana put great emphasis on the fact Grace lets each brand has its own identity; every brand is special and unique in their own way. That’s why they chose them. Other than clothing they also have Italian toothpaste brand Marvis, letterpress cards and organic tea from Cali! So tell me a little bit about yourself and how you got into Fashion PR and any particular reason why you chose this career path? I started off working in PR while I was doing a degree in Media & Communications, then went on to complete a Masters in Fashion and Textiles. I’ve also been working in retail since I was 16. I think I started at Grace maybe 4 years ago, and then came back about two years ago and have been here ever since! I started off working in the store, and then my job quite naturally turned into something else, as I am really interested in social media and everything online! Tell us a little bit about what you do day to day… Are there any cool perks about your job? I love my job because every day is different, I get to do a variety of things from talking to customers from all around Australia (and the world! 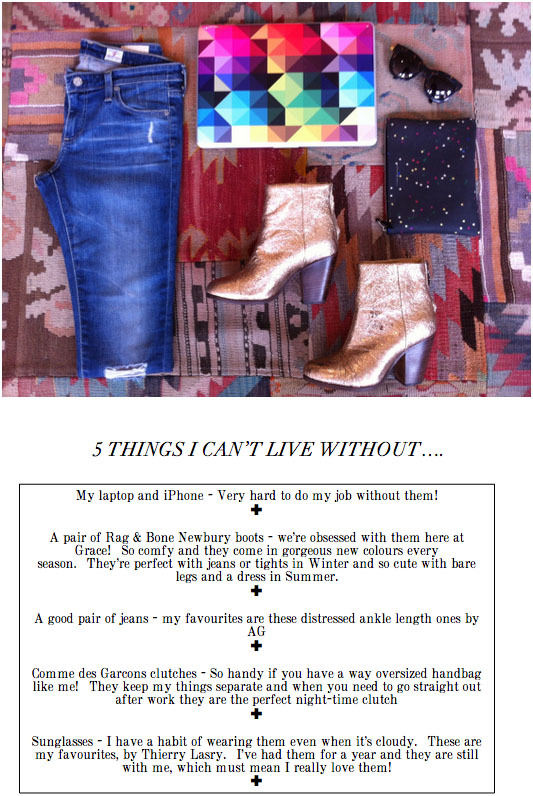 ), to updating our Blog (www.gracemelbourne.tumblr.com), Facebook, Twitter and Instagram daily. We are also in the process of setting up an online store, which is very exciting! At the moment there is lots to do to get it up and running by the middle of the year. I am very lucky to work with the best group of girls, which means that coming to work is always a pleasure. We have lots of fun and it’s like getting to hang out with a big happy family. Our inspirations and influences change all the time but we aim to mix and match a style that is consistent throughout every collection so our shoppers know who we are and what we stand for. Fashion changes all the time. 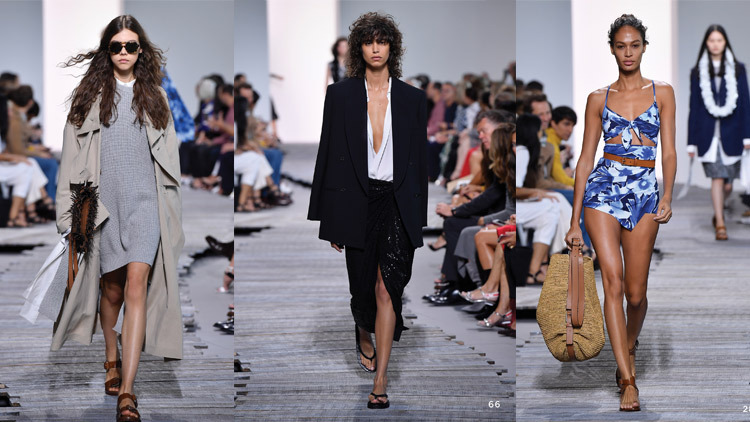 Every season, trend changes really quickly and we have to change with the changing landscape of it. For example, we started stocking Milanese label, MSGM, which does the most amazing printed numbers. The collection is absolutely ridiculously chic and we can’t wait to receive our next delivery as it flies out the door! The pieces from our different labels are complemented by the Grace label, our very own line. And our Grace knits which we do each season have gained something of a cult following as well! So would be a Grace girl? What kind of style would she have? Each of our Grace girls has a different personal style. That’s what is so great about Grace – whatever your own style is, there is something in the store for you. It’s funny to see people who own the same item, but wear it so differently from one another. I think it’s really about making a piece your own! You mentioned that Grace is about to launch a brand new e-commerce website – what are your thoughts on how the Internet and mobile are changing traditional shopping landscape and customer interaction? In terms of e-commerce, it’s becoming more important for a brand to have an online presence and be involved in social media. In order to be competitive in this industry, you really have to be constantly evolving, and this is just another way to move forward! Everything to do with shopping online is immediate – you can click from a blog post to an online store and buy the item straight away. The beauty of technology is really spoiling us in many ways. It also certainly changes the way you are able to interact with your customer, especially with the role of social media. There is another way to respond and reach out to your customers, as well as closing the gap of advertising between a retailer and customer, specifically when your brand places high importance on brand loyalty like ours. Grace’s main goal has always been to give great service – we pride ourselves on being approachable, helpful and honest, and will carry this through to our online store. Personal service is so integral in any retail setting, and it is our number one concern when entering the e-commerce world! hing as much as we do! 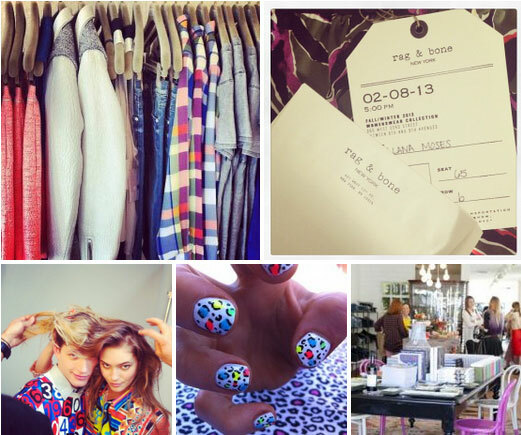 We’re all very close at Grace, and I think that is something quite unique in a retail environment. We’re very lucky! Big thank yous to Gemma for the interview and AMPR for providing information.